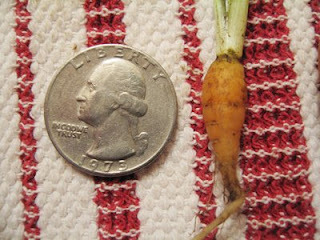 I was thinning carrots in our garden the other day. I've yet to have good luck growing carrots. We'll see what we get later in the season! Posed with quarter to show scale. Please share: What's your experience with growing carrots? Advice is wanted and needed!